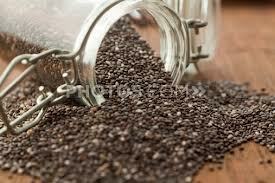 Food of the Day: Chia Seeds!! I recently got introduced to this super food called salvia hispanica, or more commonly called, chia seeds. 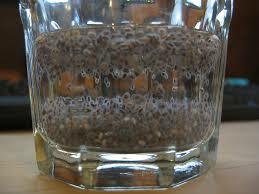 Chia seeds (yes, the same chia as the Chia Pet!) have a long history and nutritious history. The first recorded use dates back over 2,000 years by the ancient Mayans and Aztecs. 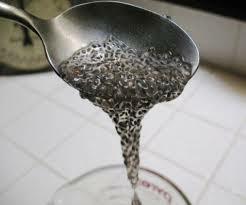 The super-seed became a staple to everyday nutrition and was used in various ways from grinding them into flour to pressing them for oil or mixing them in water. Chia seeds are considered a super food because of the amount of nutrition compared to the amount of calories. They are considered to have high amounts of fiber, calcium, Omega-3 (more than salmon has! ), iron, magnesium. 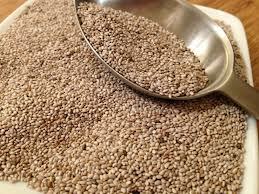 Chia seeds are gluten-free and are also a complete protein with all 9 amino acids. They can help lower cholesterol and are easy to digest. Nutrition was a popular use as was medicinal uses like generating saliva to join pain. Chia seeds were also ground up in a poultice to treat gunshot wounds and other injuries, as they are potent enough to prevent infections, promote healing, and increase stamina. The seeds are tiny and light, easy to carry and were even used as a trade currency. Chia got pushed out of the daily diet when the Spanish conquered the ‘New World’ and introduced their food to the native peoples, that and the fact that Spanish Christians banned chia because of their use in religious ceremonies. 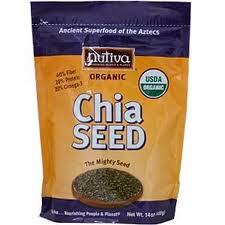 The word chia is from the word chian, meaning oily in the indigenous Mesoamerican language, Nahuatl. It is still spoken today in parts of central Mexico and the Pipil people of El Salvador. There are two types of chia plants, the other known as golden chia. Chia seeds are versatile. Try grinding them then sprinkle it over any food from cereal to salads. If you are gluten intolerant, you can use chia with gluten-free flour for baking to add elasticity to the dough. 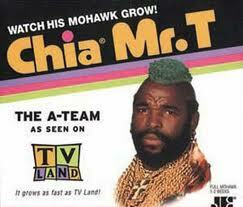 A really cool thing about chia is that when added to liquid chia turns into a gelatin because of protein breakdown. Not only is chia in this form a healthy appetite suppressor, but also you can whip it into (for example) room temperature butter, jams/jellies or mayonnaise to give it extra nutrition, lower the calories and extend its use. Try chia and tell us how it worked out for you! You will notice difference!! You can add it in equal parts by weight to any recipe for a fat substitute or a thickener to cold sauces or dishes. Enjoy! !